Tied to the chair. Hollywood, 1933. 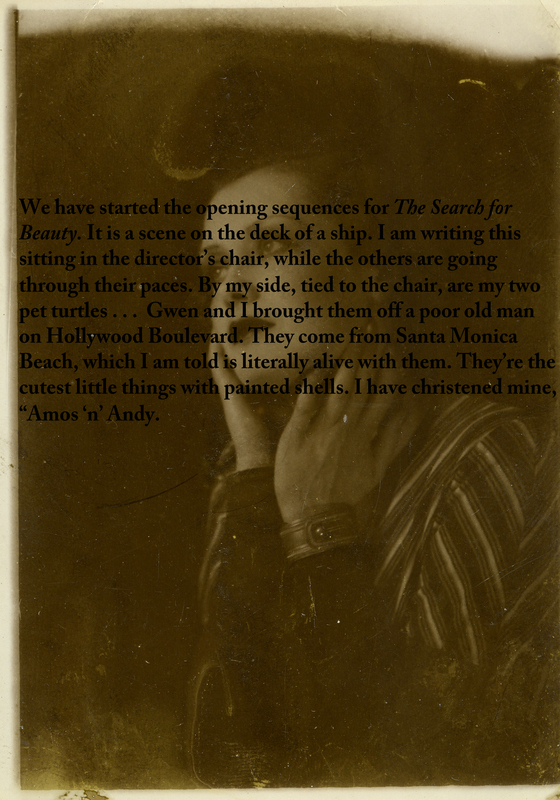 A Nita diary entry from Film Pictorial Magazine, 1933. Here’s one of the many passport photographs from sessions where Nita would play to camera. I think she was trying out poses and practising as an actor. She must be about thirteen here, circa 1927. It’s easy to forget, as a person who works behind a camera (usually) that if you propose to be in front of the camera you had better know what the camera does to you. At least then you can choose how to act. All the minutiae and the, is this working? Is it too much. Better to underplay than to over do it. But here, Nita is performing and acting to camera in a way that fully acknowledges the camera’s presence. Charlie Chaplin and Mary Pickford would do that to loveable and great effect. And these were the stars of the day. This photograph has a remarkable quality to it as an object. Much better than modern passport images this has a broad tonal range and a metallic, silver quality to it. Its quite beautiful and its miniature size adds to this. This is a paper negative from the Nita archive. I didn’t know exactly what it was so I took it to my printer, Brian at BDI images and he told me. The paper negative would be contacted with a sheet of photographic paper and glass laid over the top rather than printed using light shone through it via an enlarger (as with film negative), so it would only be able to maintain its original size of 4″ x 4″. Each image within is the size of a passport photograph. The paper negative is more fragile than film negative as it will eventually disintegrate faster. Perhaps for this reason it was made on 2mm thick card. I printed it as a positive but decided to keep it as a paper negative scanned in its original format because you can see Nita’s movements and rotation to camera more clearly in negative. I think this was taken in a commercial photographic studio that would have offered a passport service. 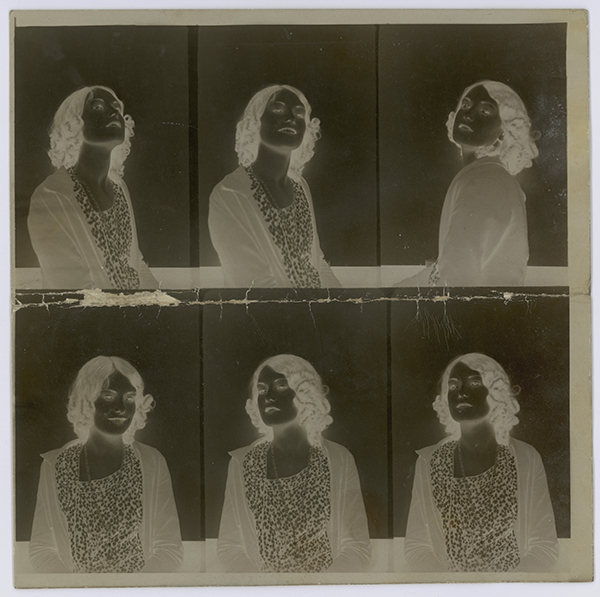 In the archive there are lots of what are essentially ‘self portrait’ passport photographs of Nita and they all have a playful, theatrical and often comic charm to them. I wondered at this and then remembered that this was the era of silent films where expression was everything. I wonder if Nita spent her pocket money taking these self portraits for fun, practising to camera or whether she was building an actress portfolio? 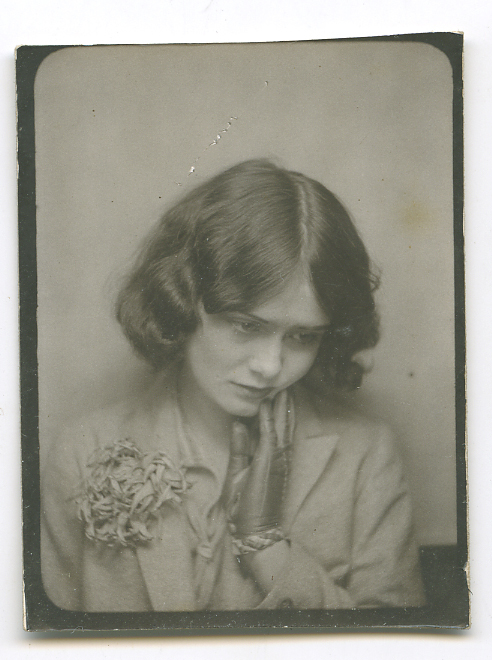 Nita was about thirteen or fourteen here, circa 1927. Nita project: There was a 35mm Nitrate casting film reel in the archive that I had digitised. When I first viewed it I couldn’t believe how brutal it was. I think it was only meant for the eyes of Hollywood directors and producers, which makes it all the more revealing. Here’s a still from it, circa 1933.